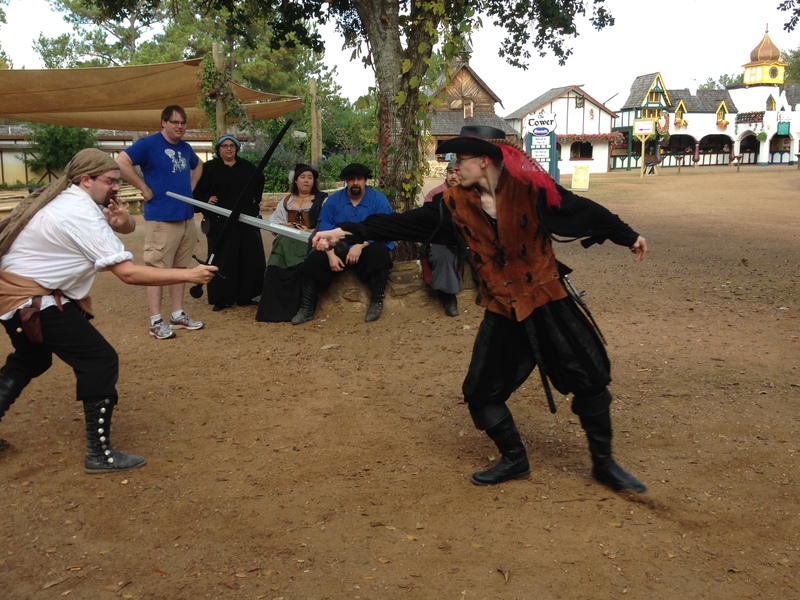 Texas Renaissance Festival is one of my favorite gigs. It’s an eight-week run, starting the beginning of October and running every weekend through Thanksgiving weekend. Mr. Magick Man has a few shops out there and I work in one of them. The vast array of customers who come through every weekend are too many to even begin to describe, and I doubt I could do justice. When dressed in costume, I love interacting with the patrons; especially the children. Sale or no sale, if I can make someone’s experience at renfaire that much more enjoyable, then they’ve had some fun and I’ve had some fun, too. Happy customers with custom hats! Customer with an amazing costume and homemade staff!! We always look forward to this festival because our crew is like another family to us. We laugh, we poke at each other, and we stand up for each other. Just like family, we have each other’s backs. My Teen Boy works in our sword shop, and seems to have inherited a lot of “uncles” as a result. This year I’ve enjoyed watching him grow and interact more with the crew. I looked forward every morning to seeing him at his swordplay lessons when we were finished opening up the shops. One of our crew in particular took the Teen Boy under his wing and started working with him using the practice swords. He was a wonderful teacher, and my kid was an eager student. I’ll have to see what we can do to pursue something like this during the off-season. I’ll miss the joking comments and the silly moments from the jewelry counter. I’ll miss “Bloody Mary Sundays”. 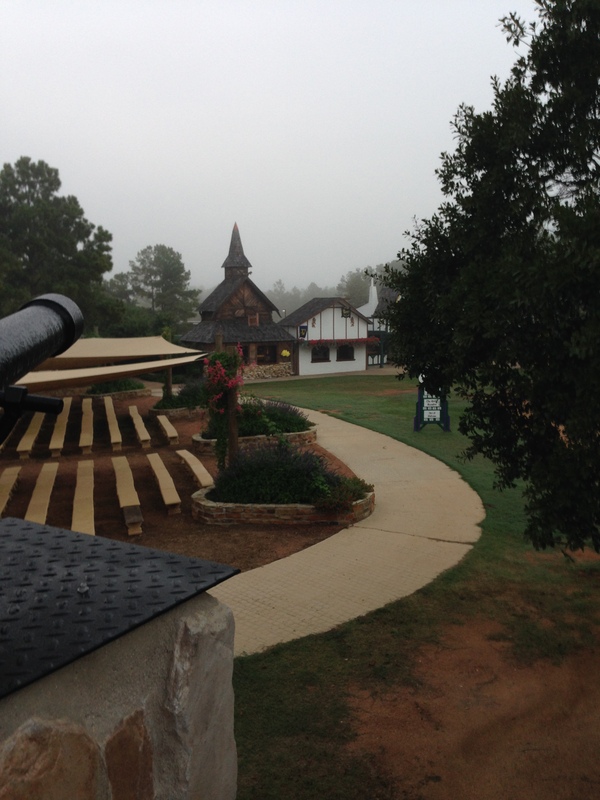 I’ll miss the view of a foggy morning from the castle balcony. Working festival is a lot of hard work and long days. I won’t miss being tired all the time and I won’t miss having my weekends occupied, but I’ll miss seeing my renfaire family. “I am my beloved’s and my beloved is mine.” Not possessing but completely giving in love and trust to each other. This comes from Song of Solomon, by the way. 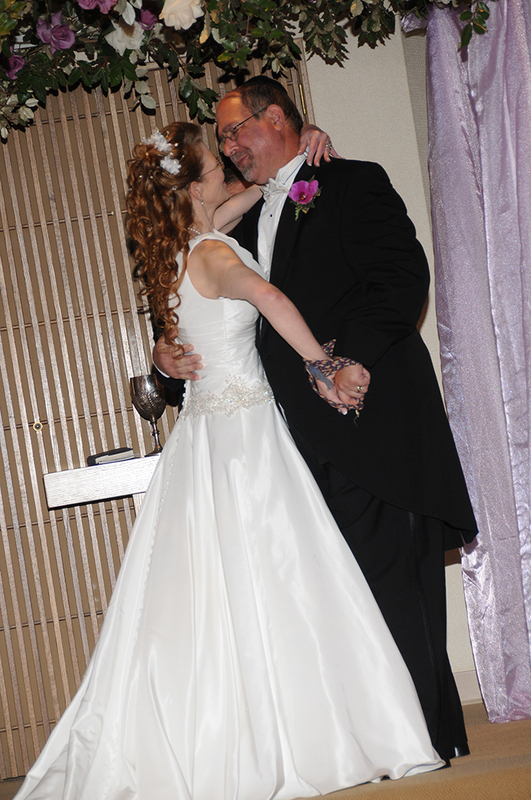 Three years ago today my beloved and I celebrated our love with a beautiful wedding with friends and family. I still remember the beautiful flowers on the chuppah and how they paled in comparison to the loving look in his eyes. I decided to write about this subject because there is surprisingly a lack of information out there. Yes, I’ve found other blogs, but I haven’t found anything from the medical, psychology, or ADHD field itself (other than one book, and he doesn’t cover much). If anyone knows of a credible resource please feel free to share it in a comment. You work on a huge project. You already have a tendency to hyperfocus, but when the project is this big and the deadline is so close, that tendency kicks into high-gear. Everything else goes by the wayside. Nothing in the world exists but the project. You may forget to eat. When you do eat it isn’t healthy. If you’re lucky, your family understands because they know this pattern by now. I can’t speak for everyone. We all have our own techniques for handling our distractions so we can get the job done. I wouldn’t get a thing done without the whiteboard in my office. I see it every day along with the deadlines. I outline each project into small parts, giving each part a deadline. I cross off my deadlines as I meet them so I can see my accomplishments. The downside to this process is it encourages me to hyperfocus. The upside is I stay on track. I’ve also noticed I experience a huge adrenalin rush when I hit the point where I’m hyperfocused on that project. Yes, I’m stressed about hitting my deadline but towards the end when I finally know things are coming together and it’s going to work – the relief just washes over me. I feel glorious! I want to shout to everyone, “Look at what I’ve done! Look at what I accomplished! !” I’m on top of the world. The project comes to a close and I’m riding on that emotional high. It lasts for about a day. As I’m enjoying the well-deserved downtime, the mind chatter begins. I’m not hyperfocused anymore. I don’t have anything to “spin” on, so I spin on myself. 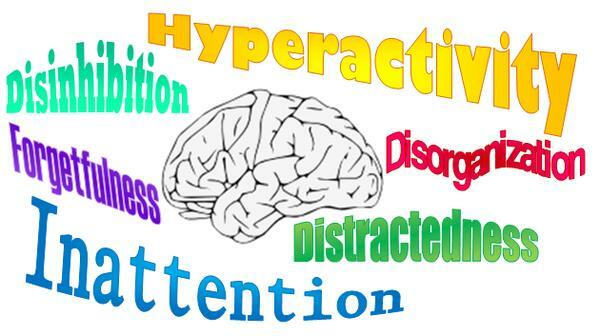 To the person who doesn’t understand the ADHD brain it would seem I’m scanning the horizon finding something to worry about. 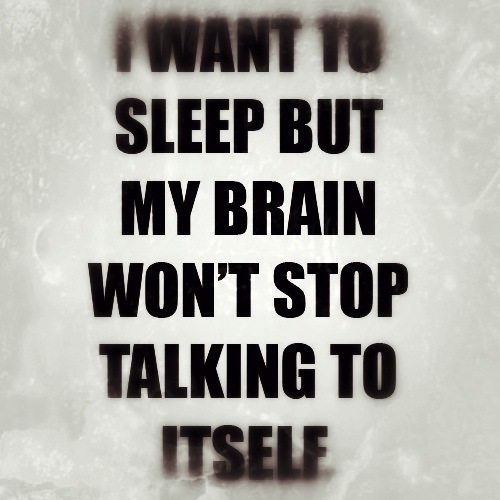 I don’t mean to; my mind is just wandering. Most of the time I snap out of it wondering how I got there in the first place; but by the time I find myself “there”, I’m an emotional wreck over whatever I’ve found on the horizon. These are the highs and lows of working on a project. I used to think it was just me but in my search for more information on “post-project let down” and “post-project depression” I found others experiencing this same issue. People are posting in forums and blogs, both ADHD and Project Management, about this same pattern. Yet I get no hits in the medical field… nothing confirming why. We’re all just speculating. This truly surprises me. Surely there is more information out there and I’m just missing it. My search was not for a solution. It was more for personal validation that I wasn’t alone. I needed to know if others had this problem or if I was just … crazy. I already have a solution. I’ll stick with my pattern of planning out my projects; I just need to adjust for the project close. I have a great method for planning out my deadlines until the project ends. I just need to make sure I have something lined up for when it’s over. Downtime? We all need it, but I suppose I need to start planning something for that, too. I made it twelve days on my Facebook/G+ blackout. I would have made it longer, but I do see notifications pop-up on my phone. I did well ignoring status updates. What got me was the timing of an update from my best friend. It’s a bit like getting a phone call from someone in the middle of the night – you know someone is either badly hurt or dying. Lyl is not a morning person. If she makes a status update at the crack of dawn, something is wrong. Being there for my best friend is more important than completely abstaining from social media. I logged into FB, read her post, and it confirmed what I’d already thought was going on. But rather than comment, I called her. When you call someone who’s just gone through a traumatic event, or who’s in an emotional crisis, sometimes the words just seem so empty. When you deliver these words live, whether on the phone or in person, it seems quite awkward. You never know if you are saying the right thing or if you’re really offering any comfort to the person. 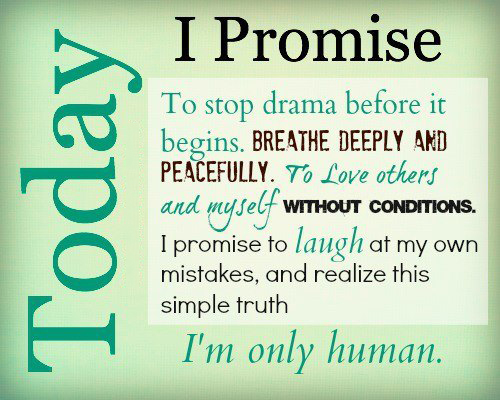 Online, though, we can stop and think about what we say. We can create a first draft, a second draft…when we have our final and hit send we’re hopefully more confident our words have been of some use. Sherry Turkle covers this quite nicely in her TED talk, “Alone Together“. Different people have different methods for dealing with that type of stress. 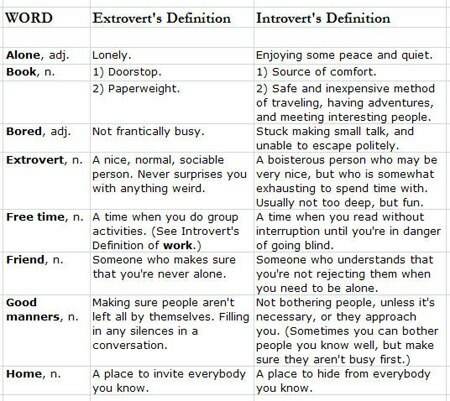 For example, an extrovert would need “people time” in order to recharge and get out of the downward spiral. However, an introvert just needs “alone time”. 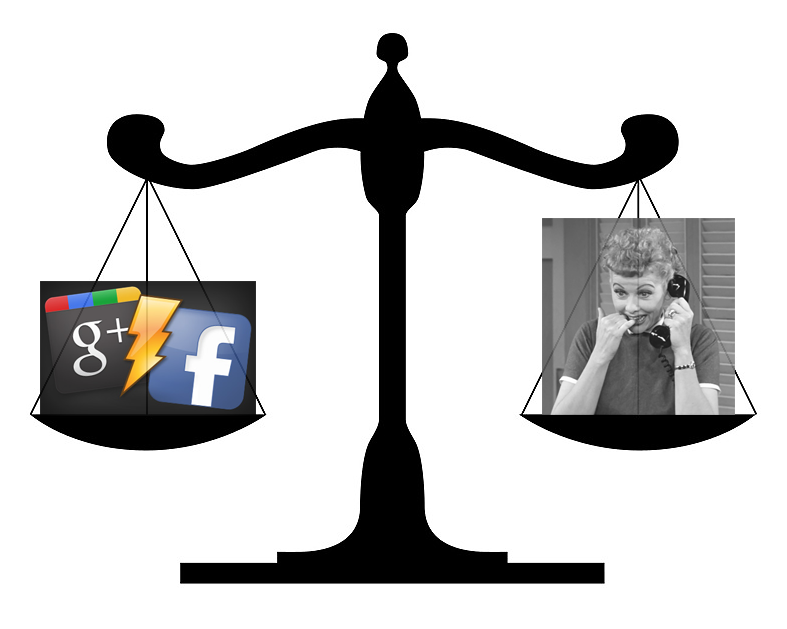 This is where I can see an upside of FB and G+: It allows a nice balance for the two. People can communicate with each other and at the same time choose how much interaction they want on a daily basis. I changed my awareness. I’ve “officially” been back since November 17, but I don’t check Facebook or G+ every day. I don’t think about them as a primary form of communication anymore. I suppose you could say I’m adjusting my own dial tone, and trying to bring a balance of communication into my life. Today is Sunday. 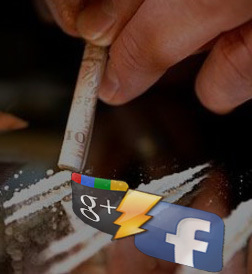 I’ve made it six days without checking Facebook or Google+. I’ve found I’m not as twitchy as I was a couple of days ago; but I did have the distraction of working renfaire this weekend. If communication is your vice, TALK to someone about it.